2015 Season (Redshirt Freshman): Parris Campbell is so talented that he earned a season-opening starting assignment against Virginia Tech as a redshirt freshman amid a unit that has since lost three players to the NFL – Michael Thomas to New Orleans; Braxton Miller to Houston and Jalin Marshall to the New York Jets … Campbell also started the next two games for the Buckeyes but only managed 22 more snaps on offense the rest of the season as a mid-season injury slowed the speedy performer and kept him out of five games … he returned and played in the last four games of the season, but mostly on special teams where he was a standout with seven total tackles … although still in need of his first career reception, Campbell’s receptions covering 40- and 55-yards in the spring game in front of more than 100,000 fans did not go unnoticed by the Ohio State coaches. 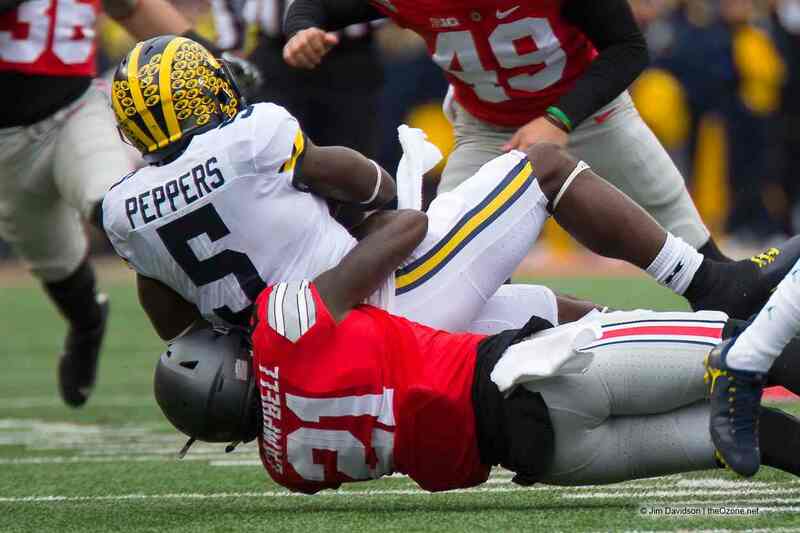 More on Parris: Campbell was considered one of the elite players in the Ohio State class of 2014 … a consensus four-star prospect, he was rated as a Top 25 player regardless of offensive position with rankings as high as the No. 14 running back (Scout), No. 15 athlete (Rivals), No. 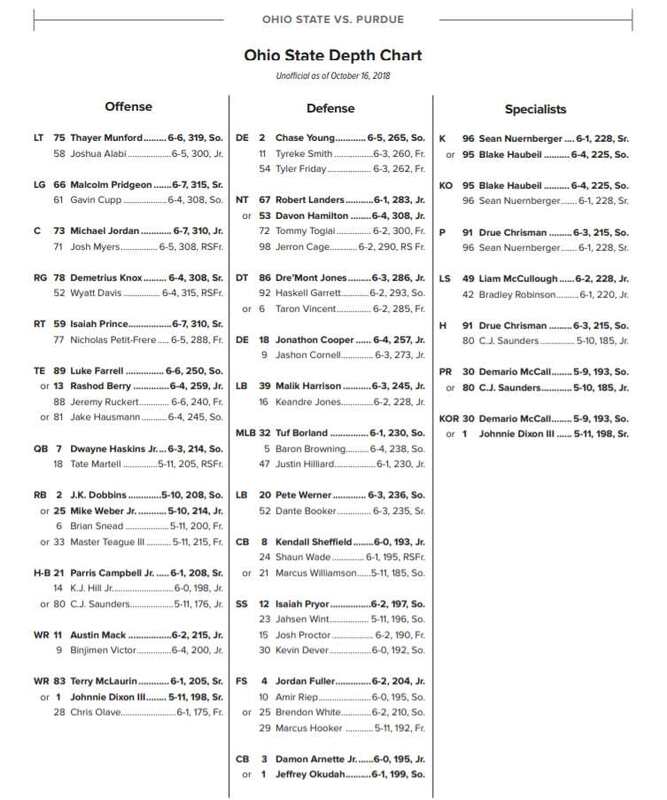 19 wide receiver (247Sports) and No. 22 athlete (ESPN) … one of 10 Buckeye recruits on the Scout 100 (No. 85) … Associated Press Division III all-state in 2013 after rushing for 1,584 yards and 22 touchdowns and helping lead St. Vincent-St. Mary, coached by Dan Boarman, to a repeat state championship with a 15-0 record … SVSM was 2012 state champion with a 13-2 record when Campbell rushed for 1,353 yards and scored 28 touchdowns, including a long touchdown of 94 yards … teammate of 2014 Buckeye recruit Dante Booker … attended The Opening in Oregon in Summer 2013 and was among the fastest players at the camp, making the three-man final in the 40-yard dash … outstanding on a track, Campbell powered SVSM to the 2013 Ohio State outdoor track and field championship by anchoring victorious 4×100 and 4×200-meter relays and taking second in the 100 … set personal bests of 10.77 in the 100 and 22.09 in the 200 (meters) during the 2013 outdoor season …broke Ohio state record in the 60-meter dash at 2014 indoor state championships (6.85) … is the son of Shelly Woodruff and Parris Campbell Sr.